Sustainability Spotlight is a blog series sponsored by Impact Earth that allows readers to discover the best zero waste practices in Rochester. We totally support our nominees that are living their best #zerowaste lives and hope that you do too! If you would like to nominate yourself or another local for our Sustainability Spotlight series, just let us know! “I am a 30 plus year veteran of professional regional theatre and opera costume shops where I was a draper/ tailor for all periods of men’s and women’s costumes. I spent 28 years at Geva Theatre in Rochester. I left theatre in 2013 and was ordained as an Episcopal Deacon in 2014. My diaconal work involves both teaching sewing skills as personal empowerment alongside community gardening on the West side of Rochester. Community gardening is a great way to teach people of all ages the joy of growing your own food without chemicals and experiencing the wonder of harvesting and enjoying truly fresh veggies.Most kids given access to dirt, seeds and water are natural gardeners! “Sustainability really dawned on me in 2011 and it had to do with zippers. I started a Mending Ministry at St. John’s Gleaners’ Kitchen, a free lunch program in Canandaigua, NY, during my summers off from theatre. I would set up a sewing machine in the dining room and fix clothes or help folks fix their clothes during lunch. I put many, many, zippers in jackets or repaired pulls and I came to think about the fate of jackets for anyone who doesn’t either have the skill or the $20 or more to pay someone else to fix their zipper, that these coats were headed for the landfill ---which is crazy in environmental terms! Alongside the joy of repairing is equally the joy of talking with people and learning their life story. Conversation goes well with a sewing machine whirring in the background. The next step was to focus on teaching sewing skills through a Sewing Work Shop begun at St. Mark’s and St. John’s on Culver Rd. Interested in learning more about the zero waste lifestyle products that Impact Earth offers? Check out our store. 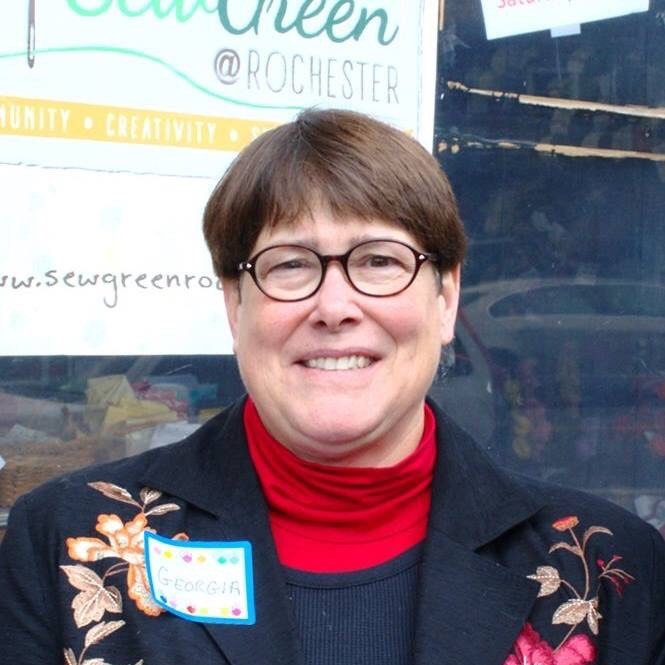 Learn more about how to get involved in the Rochester Zero Waste Movement by getting in touch with us. Or if you’d like to nominate someone for our sustainability spotlight series, drop us a line.